The Mini Phone White is a cell phone as small as a credit card. This mini mobile phone, with its thin and trendy design, is ideal for people who want to have a simple and functional cell phone. Compact, this extremely thin and lightweight credit card sized cell phone fits easily into your pocket or your wallet. The Mini Phone White is the solution to avoid breakage or loss of your smartphone during sports activities, hobbies, holidays or parties. Perfect accessory for travelers or people who have a second SIM card. Easy to carry and discreet, this mini mobile phone is perfect for use as a secondary mobile phone: it is no longer necessary to remove and change SIM cards, simply use your second SIM card into the Mini Phone White. Only 38 grams and so small that you will take it everywhere! Allows you to communicate with simplicity. Bright OLED screen for a better vision and large buttons to easily make / receive phone calls and send / receive text messages (SMS). Comes with essential functions of a quad-band standard GSM mobile phone without getting lost in unnecessary multiple applications. 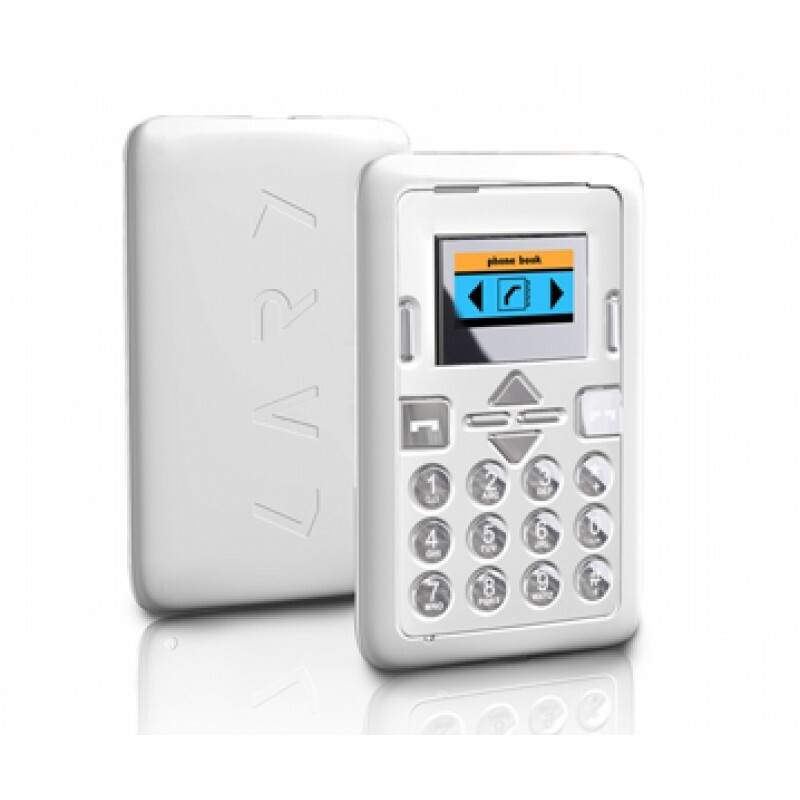 Has a clock/alarm function and also a built-in calculator, calendar and a speaker. Compatible with all mobile's providers (prepaid & subscription). Works with all SIM or USIM cards (Mini SIM format/standard SIM).